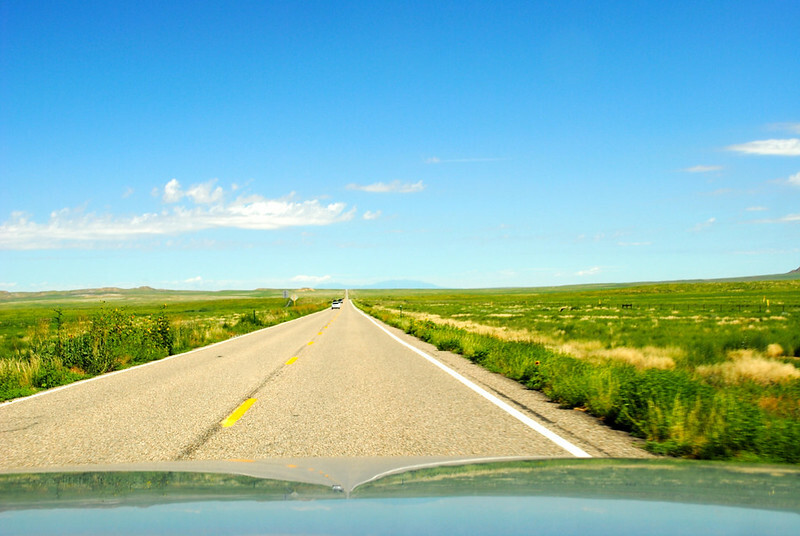 Even the best-laid plans can sometimes go awry, a lesson we learned all too quickly when passing through the southwest this summer. Thankfully, the kindness of the locals and the raw beauty of the land more than made up for it. 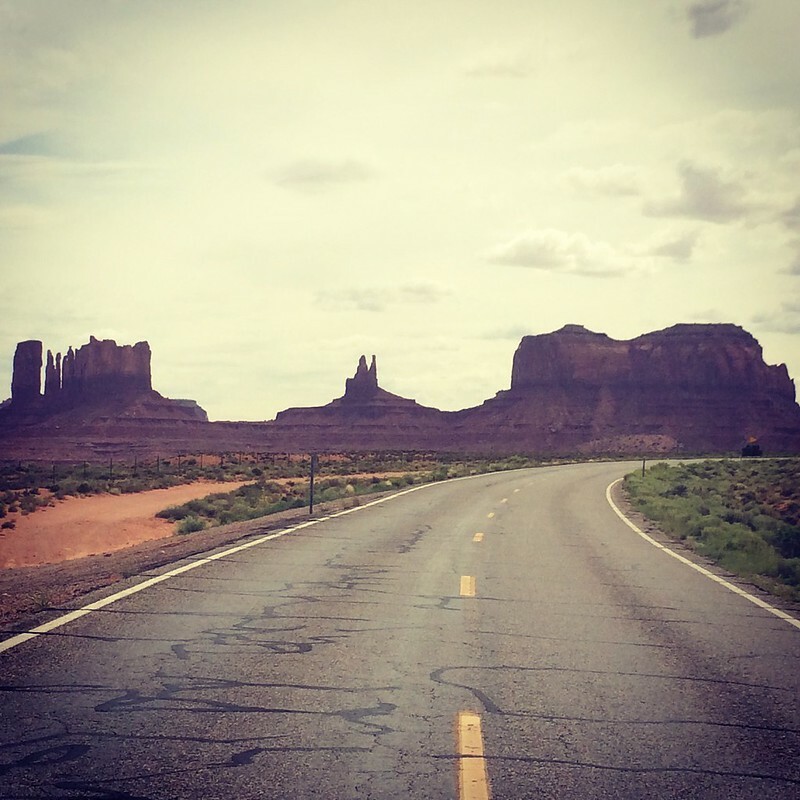 Stretching across more than 27,000 miles, my husband and I were fortunate enough to explore just a sliver of the Navajo Nation lands. 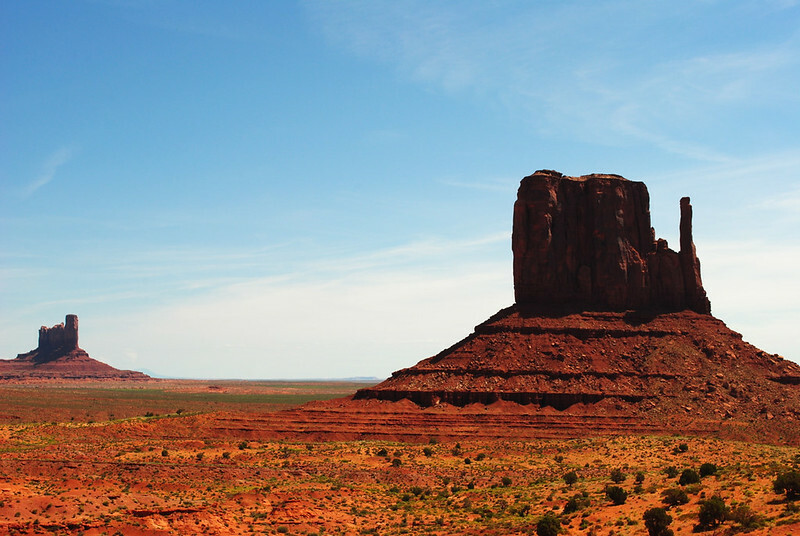 Centred in northeastern Arizona, the lands bloom north into Utah and east into New Mexico, and is comprised of stunning red desert scapes, vermillion buttes and endless blue skies. Visiting the area is a lot like playing connect-the-dots as you ramble from town to town, each with its own flavour. 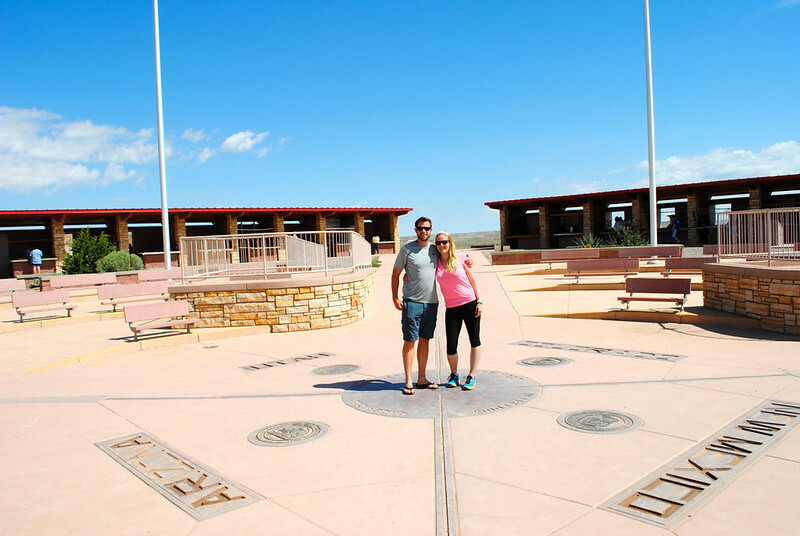 After leaving Mesa Verde, we pointed the truck directly southwest to visit Four Corners, the very spot where the borders of Arizona, Utah, New Mexico, and Colorado collide. The area around Four Corners is isolated with highways crossing the land in all directions. 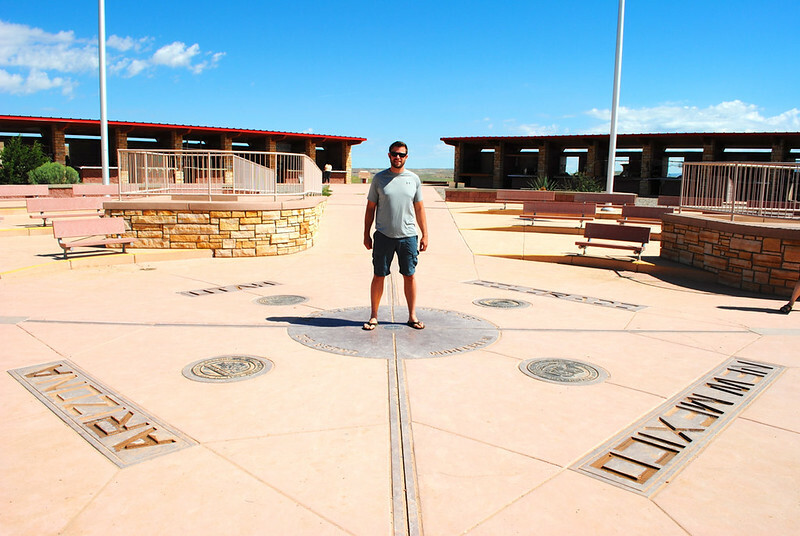 Operated by the Navajo Nation Department of Parks and Recreation, it cost us just a few dollars to stand on the very point that so many others have stood before – all taking the exact same photos. 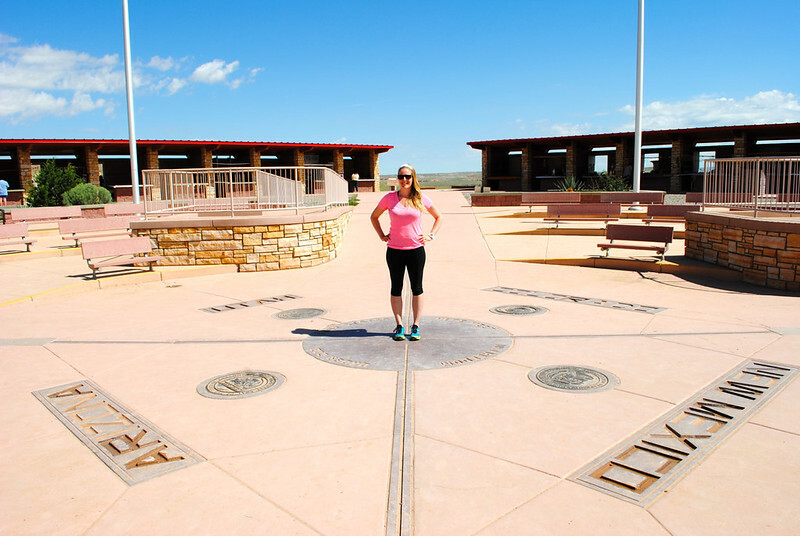 Yes, visiting Four Corners is undeniably touristy, but it’s also a quintessential stop for any visit to the area. 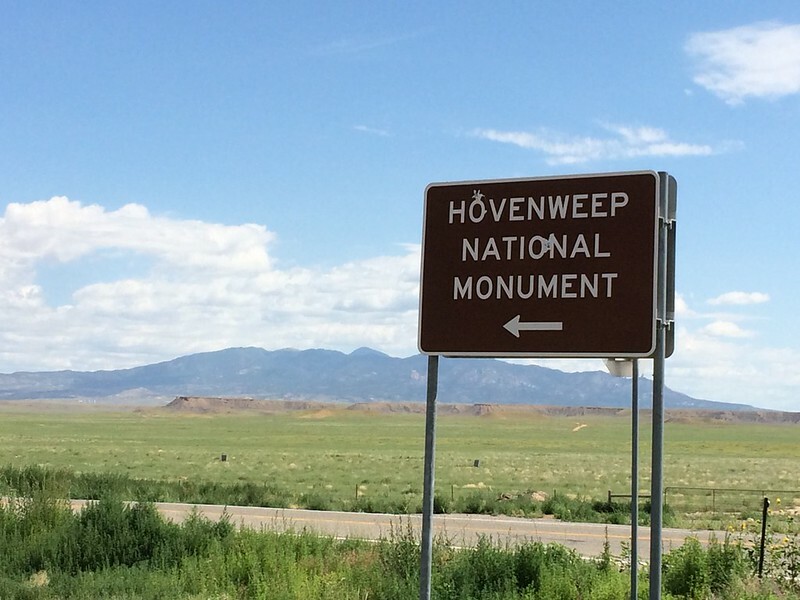 Following our state line straddle, we continued on our way with a quick stop at the Hovenweep National Monument. It’s similar to Mesa Verde in that it’s comprised of Ancestral Puebloan ruins, but on a much, much smaller scale. The park facilities at Hovenweep were perfect for a picnic lunch, but the desert heat made it difficult to spend more than a few minutes there. Somewhere along the highway, we realized that our Nikon camera was missing. While the camera itself wasn’t worth much, the memories we’d captured on the card inside it were invaluable. After ripping our truck apart from top to bottom, we decided that the only rational idea would be to drive back to Hovenweep and, if nothing turned up there, return to Four Corners. Sadly, our camera was nowhere to be found at either spot. Normally I’d be devastated, but I quickly realized that a camera is just a “thing,” and that we still had so very much going for us. 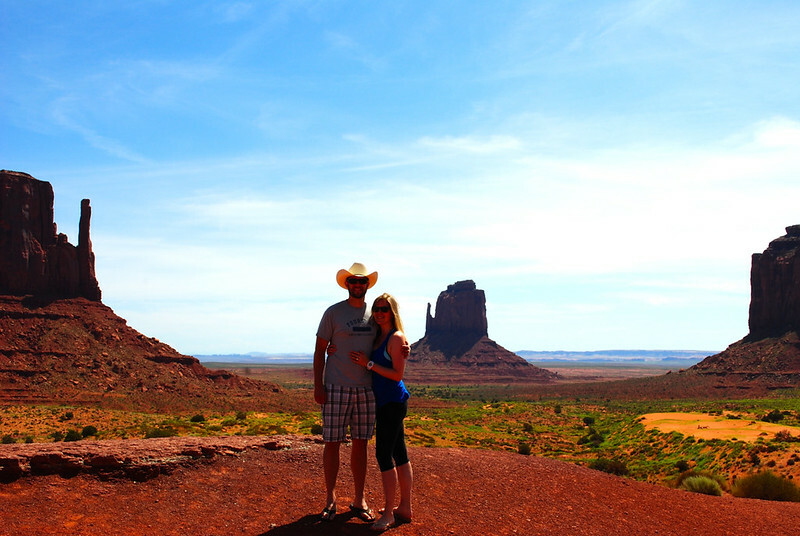 Later that afternoon we finally arrived at our destination for the night, Monument Valley. I had been looking forward for so long to pitching our tent in the desert while falling asleep under the twinkling stars. After checking in and finding the most remote site we could, we popped up our dome and headed into the Valley to explore. 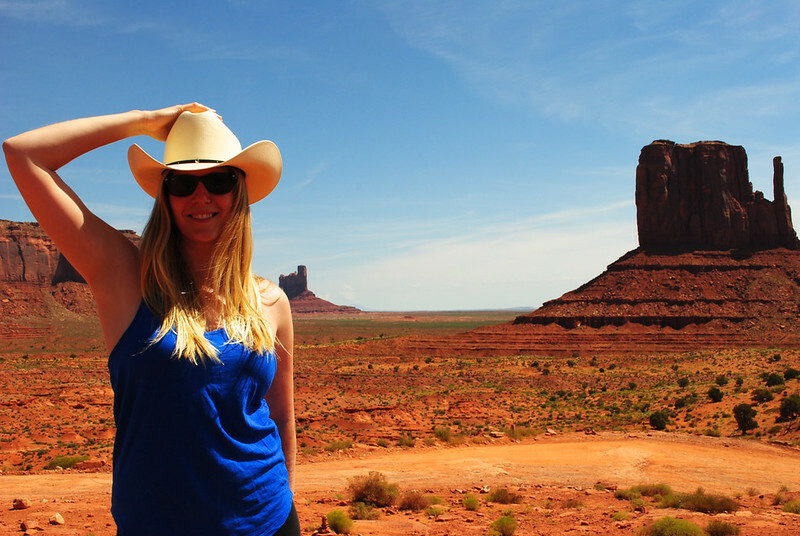 Monument Valley has been immortalized in film countless times, a region made most famous by John Wayne. 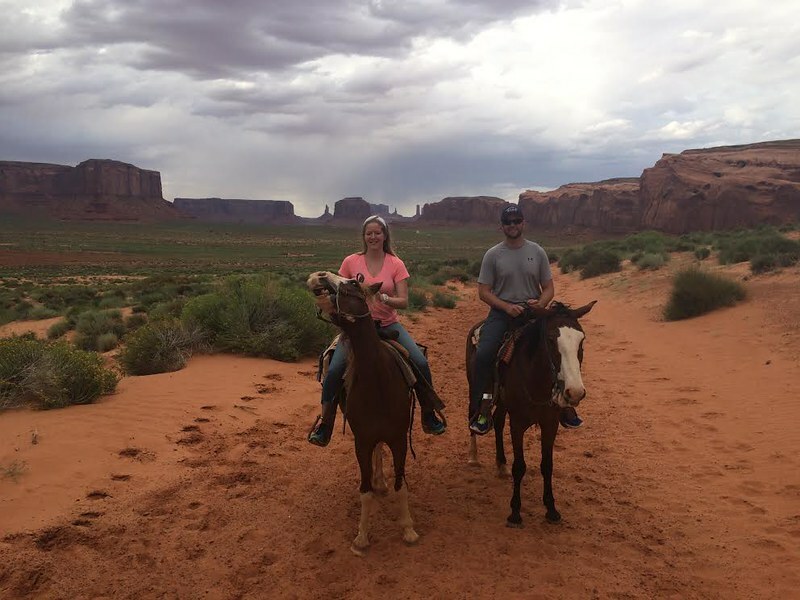 We’d long been planning to follow in his horseshoe prints by riding horseback, as it seemed to be the most authentic way to experience the Valley. The land is equal parts rugged and exquisite, and it holds great importance to the people who call it home. 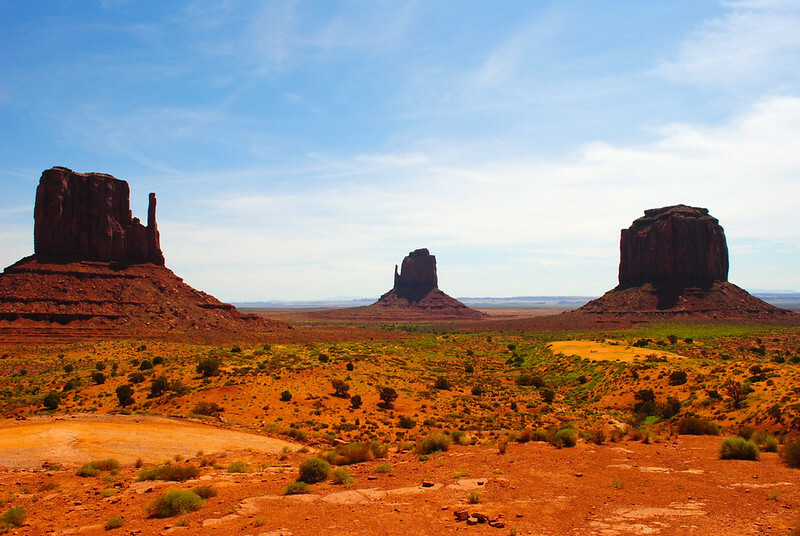 While visitors can drive a large loop through Monument Valley, so much more of it is inaccessible without a Navajo guide. 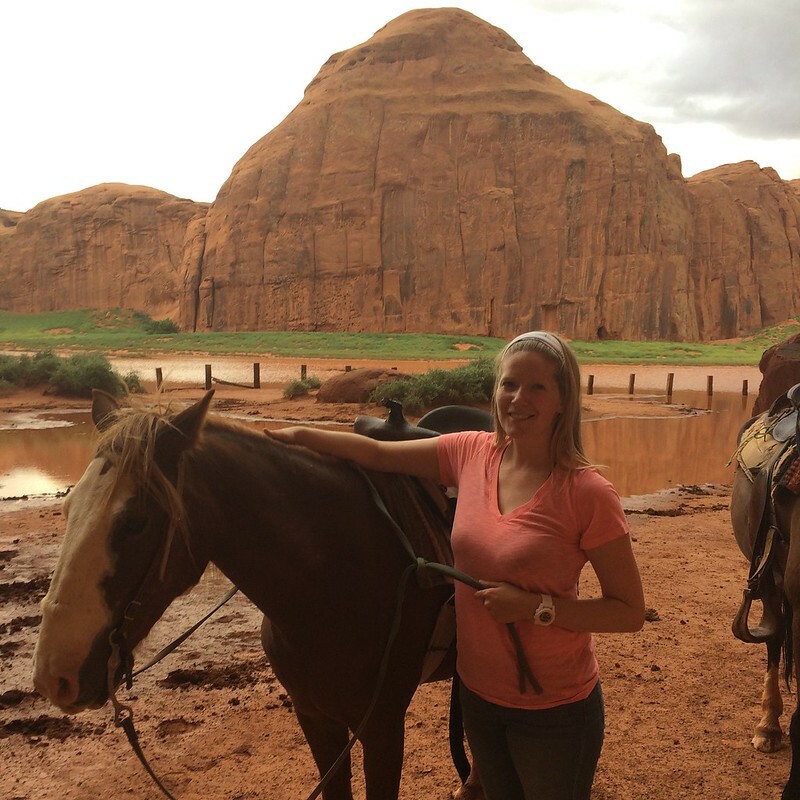 We hired some of the men from Dine’h Horseback Tours to take us into the backcountry, and they were more than happy to indulge us. 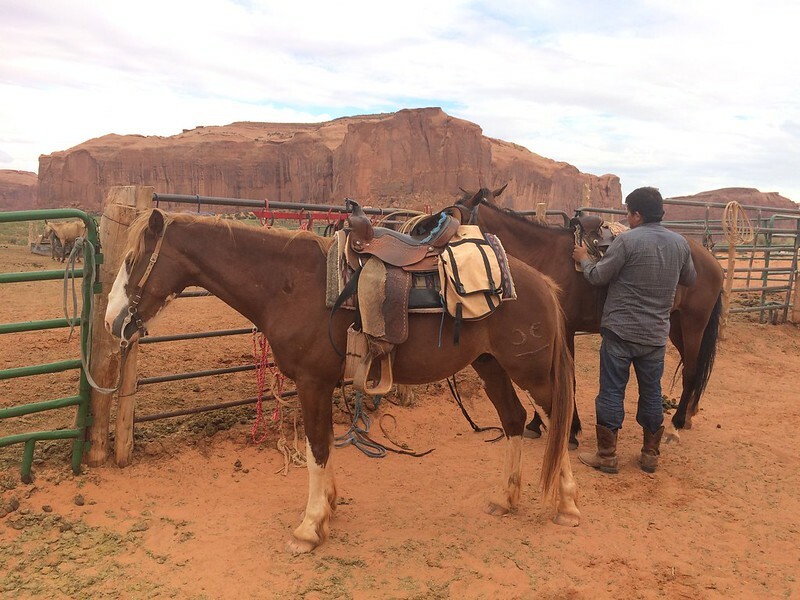 We were given a pair of once-wild but now-tamed Mustang horses to ride, an adventure in itself. 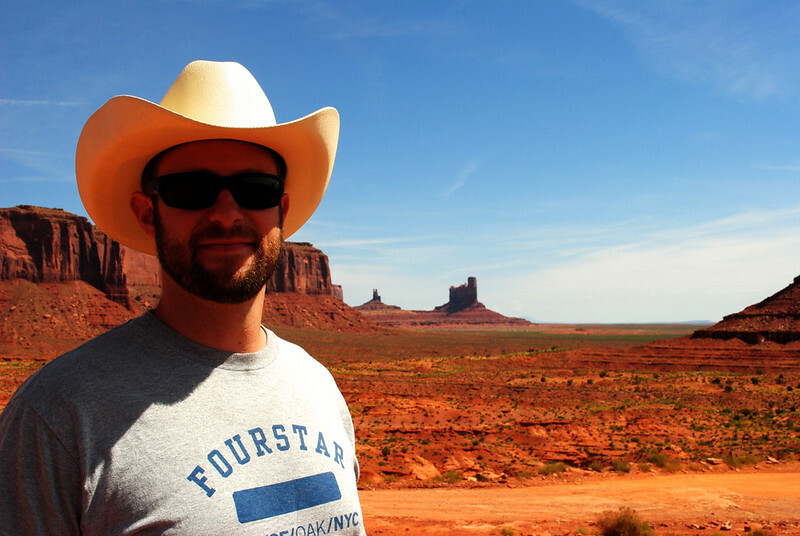 I swear my husband was a cowboy in a past life, because he seems to be at home on a horse… much more than I do! 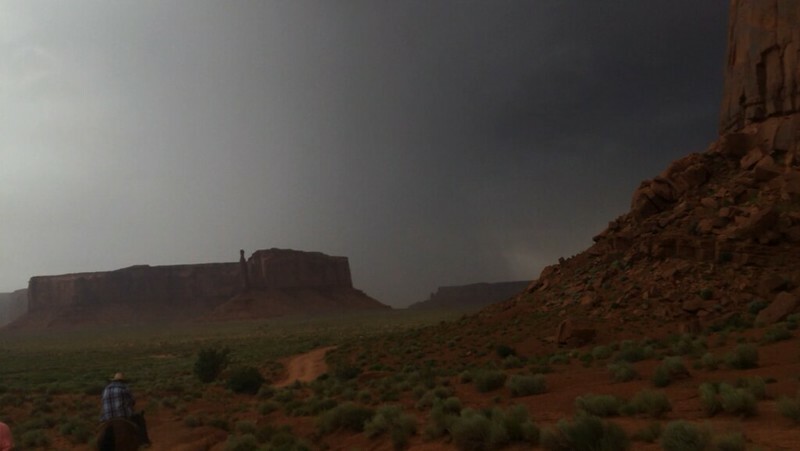 As we galloped through the crimson dust, the storm that had been following us since we were in Montana showed its face again, shrouding Monument Valley in dark clouds, crashing thunder, bright lightening and rain. While being in the middle of a desert isn’t an ideal place to be in such a situation, I relished that storm in all its force. I was very much in the moment and yet in complete disbelief at what I was experiencing. Morning view from our balcony, after the storm. My plan of a campout under the stars may have been dashed, but to sit on a balcony with my best friend while watching a frenzying lightening storm across the buttes and mesas was a shiny consolation prize. Travel isn’t about what you see or what you do but what you experience. Despite it all, we were still smiling and laughing, and the events of the day allowed me to marvel at just how beautiful this world is and how grateful and full my heart felt. 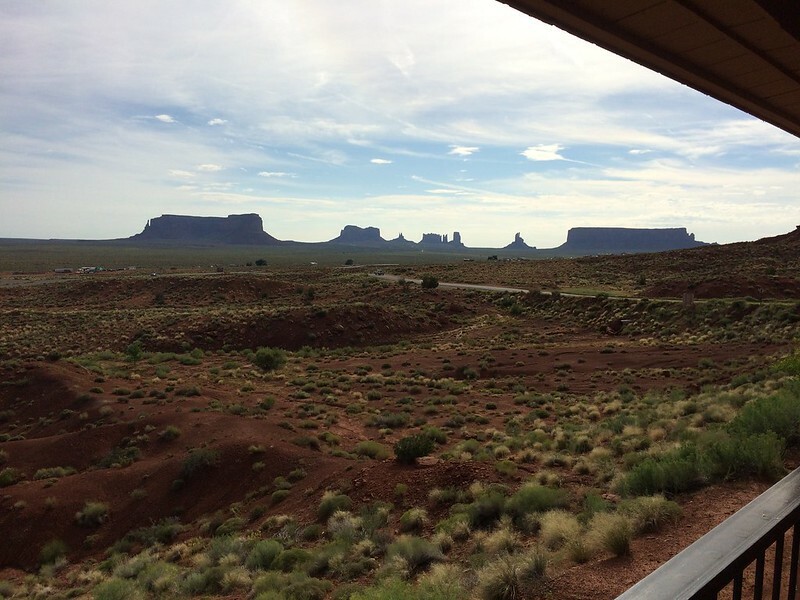 Accommodation: Gouldings Lodge located on Monument Valley Rd (look for the signs). Would I Stay Again? : Absolutely! The staff were warm and inviting and the rooms were clean and beautifully appointed. 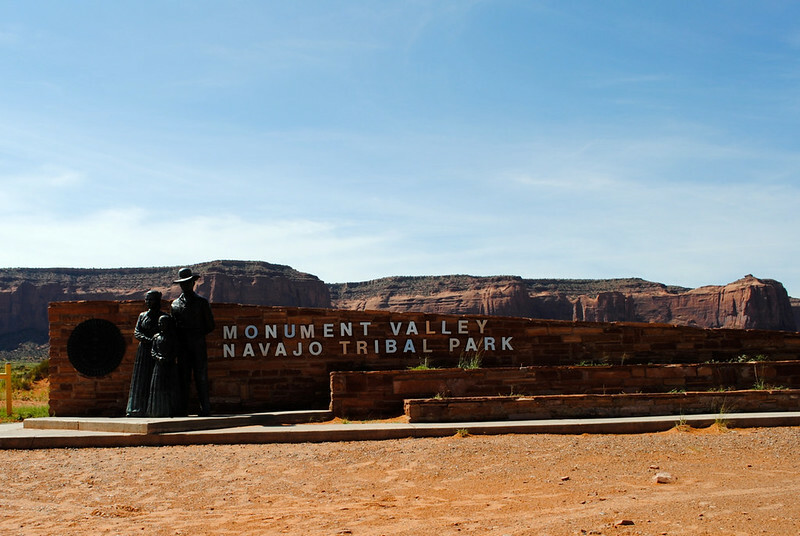 Access to Navajo Nation lands requires paying a fee to the Navajo Nation Department of Parks and Recreation. Our dollars help to protect and preserve these incredible places. Tour fees are not included and prices vary depending on which company you go with and how long your tour is. And if you love your tour guide as much as we did, show them some love with a generous tip. It’s the courteous and appreciative thing to do, and it’ll earn you a thumbs up. I was not paid or asked to write this post. My thoughts, views and opinions are entirely my own. How beautiful…so different from the landscape we are used to.